When Adam is saved from monsters by a strange man in a coat, he is shown a secret world; a world full of gods and monsters, angels and demons… a world at war. He is given an ultimatum, head to another dimension and gain power, or never be safe again. Guided by a soldier, a lunatic in a magic hat, and a spider (by adoption) he is taken to meet the Laughing One, a strange creature who seeks to teach him to reach his potential. But beset by the emotionless Legate, the violent Ursas, the mysterious King’s Man and their army of monsters, and without even a clear idea of what’s going on, how can he hope to survive in this strange new world? 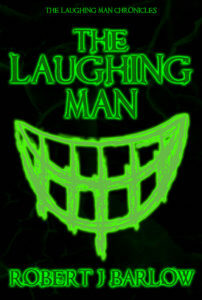 And even if he does reach the end of his path, will he recognise himself in the Laughing Man he is becoming? Annabelle is a spider by adoption, the owner of a carnival by conquest and Adam Westbrook’s girlfriend by choice. Her loyalties have never been made entirely clear. When a savage bear with a grudge comes to call, they offer to put it right, and stumble onto a plot to put entire worlds in jeopardy. Their priorities will be tested, their lives put on the line, and their burgeoning relationship pushed to its limits as they attempt to save dimensions, and still come out with body and mind intact. Adam crosses paths with the taciturn Mikhail, the psychotic Xavier and the lethal Dread Bear, and each one has secrets he needs to uncover. 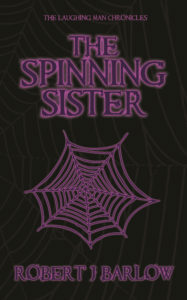 And maybe Annabelle, the Spinning Sister, most of all.